I noticed that after I had withdrawn my nomination for the US Senate, few groups renewed their invitation for me to speak, though I had assured them all that the RRR plan was one that any candidate could adopt, and I would not own. In this light, I had the pleasure of meeting with the 9-12 group in Lebanon, and I will be speaking at the Mansfield TEA Party event in March, but my own invitations to speak have slowed down. I guess I should have suspected as much. I was no longer a Senate Candidate. In order to get speaking time at some events, the organizers, who wanted me to be able to present RRR to their groups, promoted me as a write-in candidate for the US Senate. I had never even thought of the notion of a write-in until I saw it in print. Why not? I never really wanted to run for the Senate. But, the Senate is where all the anti-Americans reside today. Our Senator, Robert P. Casey Jr. holds a prestigious spot in their ranks of “do-nothing for Americans.” I supect that like Casey, the other Senaotors are people who were well-off but not well-adjusted to their own environs and when they met a regular guy in their path of life, they would have rejected him or them. That’s how I see it. 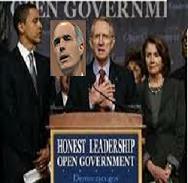 If we did not have this lousy Senate, and I know my choice of words is poor but these corrupt scoundrels, including Mr. Casey, Jr., are the worst of the worst in American History with no budget passed in any of the last three years, though it is one of the requirements the founders placed on every Senate through the Constitution. If there were a real Congress, especially a real Senate with a real budget, Barack Hussein Obama, our President would not have been able to have punished our energy industry so much in his quest for $10.00 gas. While he blames anybody within earshot, gas is high because Obama wants it to be high. If you are a doubter, look up some of his speeches. So, we pay for gas so that Mr. Obama can say that if the price were just a few dollars more, like maybe $10.00 per gallon, people would not be driving so much and the environment would be better and life would be simply good. Surely, $10.00 gas is not out of the question and our own Senator gives only two words by which to remember him when he is cast out this November. They are: “how high!.” I suspect that he used these words to gain favor with the president. I think this is folly for the US to succeed. So, I tell readers of my latest book and in other documents, why the RRR plan is needed and how RRR is a well advised prescription for success today for America. Moreover, because it is so important for the country, I have made the book and all materials that I have written to support the RRR notion, available for free download on my website. www.kellyforussenate.com. I encourage any candidate for any federal office in which the notions of RRR are important to steal all you want from RRR as it is the way to save America. Who can argue about saving America?